The Buchanan County Department of Social Services is one of 124 Local Departments of Social Services in Virginia. The Department of Social Services is a locally administered, state-supervised system that provides assistance and services to those in need utilizing federal, state, and local funds. Each county and city of the state must have a department of social services which is administered by a local board of social services. Any combination of counties and cities may have one local board of social services. 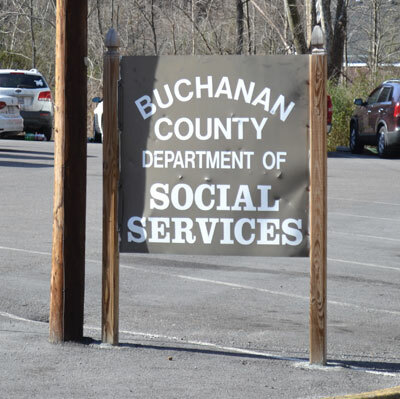 The Buchanan County Department of Social Services has a staff of approximately 50 people that administer over two dozen social service and benefit programs for the local, state, and federal government with an annual program expenditure of over 25 million dollars. Currently nearly 65% of the agency's annual expenditures are spent on medical related costs for indigent County citizens. The Buchanan County Department of Social Services is administered by a seven member Board of Social Services appointed by the Buchanan County Board of Supervisors. Title 63.1 of the Virginia Code as amended, outlines the powers, duties and responsibilities of local departments of social services. The Buchanan County Department of Social Services Administrative Board meets the third (3rd) Tuesday of each month at 6:00 pm in the agency conference room. The Buchanan County Department of Social Services is dedicated to assisting its clients in working toward self-reliance. BCDSS employs a dedicated and competent work force to carry out its mission. The BCDSS will seek to provide services which support and promote family stability and encourage parental responsibility. The BCDSS will seek to provide services which support elderly or disabled adults in self-determination. The BCDSS will continue to work together with other community agencies to meet the needs of the residents of Buchanan County. The BCDSS will strive to provide staff opportunities for professional development which enhance their abilities to serve clients working toward self-reliance. The BCDSS will seek to provide a safe and modern work environment for both agency personnel and those members of the community utilizing the agency. This report is published in the Virginia Mountaineer annually and is the most recent report. Due to privacy, public disclosure of the Continuation of Operations Plan would have a reasonable likelihood of threatening public safety by exposing vulnerabilities. It contains sensitive and confidential information that is not subject to FOIA under Virginia Code §2.2-3705.2. Accordingly, the Buchanan County Department of Social Services is withholding this plan from full public disclosure. Refer any request for a copy of this document to the Buchanan County Department of Social Services Director. Thank you for your interest, however we currently we do not have any job listings available at this time. Please check back and visit jobs.virginia.gov for any new positions that are available and being posted.